Below is a list of the playable races of Shattered Kingdoms. Centaurs are a crossbreed of humans and horses, with the upper body of a human attached to the body of a horse. A wise race, centaurs are somewhat lacking when it comes to dexterity. They are resistant to acid and to cold attacks but are more vulnerable to most other energies. Centaurs are able to run for hours and receive the endurance skill no matter what their profession. A centaur makes the finest land-based mount available anywhere. There are five centaur tribes which determine the centaur’s place in life. Deep-Elves are slightly shorter than humans and have a much lighter build. They are inherently evil (and cannot be brought to the Light) both from their heritage and their upbringing. They are in most ways like their sunny elven counterparts, but dwelling underground has given them the potential for even more intelligence and innate magical abilities. Deep-Elves have the ability to see in the dark with infravision. They are filled with enmity toward elves and begin with an innate understanding of Deep verbal language. Dwarves are a short and stocky, long-lived race, often surviving well into their second century. Dwarven men are known for being proud of their beards, and dwarven women also have facial hair. Although dwarves do have spell casters among them, they don’t have a natural bent toward any magic. They do, however, make excellent fighters: Their endurance, toughness, and general health are unsurpassed. They begin with an innate understanding of Deep verbal language. Elves are slightly shorter than humans and have a much lighter build. They lack the strength and stamina of the other races, but are far more agile, both in body and mind, helping them to move very quietly. Elves are inherently good, both from their racial heritage and their upbringing. They tend to resist charms and other magic, due to their magical nature. Elves may also see in the dark with infravision. Several elven bloodlines have been described. They are filled with enmity toward deep-elves. Giants are the largest race, ranging from 9-12 feet in height. They are stronger than any other race and almost as durable as the dwarves. However, giants aren’t very bright and their huge size makes them relatively clumsy. Giants resist poison and disease easily. However, their slow minds make them extremely vulnerable to mental attacks. Regardless of profession, giants devastate with the ability to throw boulders and bash barriers. Gnomes are distant kin to dwarves but are noticeably smaller than their cousins. They are wiser than any other race but slightly below average in most other abilities. Gnomes are resistant to poison and mental attacks but find it hard to swim. They sense disturbances in the earth and also see in the dark using infravision and begin with an innate understanding of Deep verbal language. 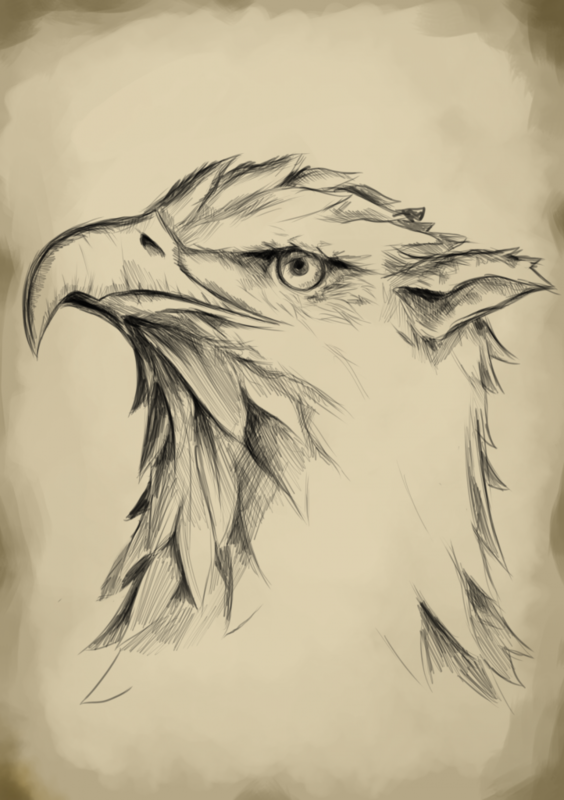 Griffons look like birds of prey in their front-quarters and large felines in the rear, though they are easily larger than both. Over the years, several griffon bloodlines have appeared. This unique build makes it impossible to wear most armors, and their talons make gripping any weapon not specifically designed for them exceedingly awkward. These creatures have almost no weaknesses as they possess great strength, a sturdy build, and a keen mind. Their hardiness also allows them to easily shrug off most types of poison, as well as disease. Griffons’ size and build allows them to carry another person, even while flying. Half-Elves are the offspring of a human and an elf. They tend to resemble their human parents in most ways, having a sturdier build than most elves, though still lighter and more agile than most humans. Like humans, half-elves are well-suited to any profession. While they often are not as smart as most elves, because of their elven blood they do have the ability to see in the dark as well as an inherent resistance to mental powers and other such magics. Due to their mixed lineage, or perhaps due to the trying childhood that can accompany such odd breeding, not all half-elves retain the inherent goodness of their elven parents. Halflings are an oddity, and not well understood, I’m afraid. They are very short, generally plump people, striking in their resemblance to miniature humans. This small stature makes them relatively weak in body, however their size also gives them a bit of fleetness, and even the greatest thieves of Teron find it nearly impossible to rival a halfling’s natural stealth. Humans are the most common race. They have no special talents like the other races, but they are far more versatile and can learn any profession. Humans also receive a bonus to their profession’s primary attribute. Minotaurs are large, muscular humanoids with heads and hides of a bull and cloven hooves in place of feet. Although they are tremendously strong and tough, minotaurs anger easily and are particularly prone to acting before thinking. When flying off the handle, minotaurs tend to gore victims with their horns, which grow during puberty regardless of gender. This hard-headed race has an odd defense against charms and mental attacks that also makes mind speech extremely difficult. They are weak to energy as well as sonic attacks which target their sensitive hearing. Minotaurs, resist regimentation and therefore cannot hold the alignments of principled, dogmatic or aberrant. Sprites are tiny elf-like creatures with small, semitransparent wings. They are intelligent creatures, but very weak physically. A sprite is naturally the quickest and most agile race, and their magical heritage gifts them with several spells regardless of their chosen profession. Sprites can use their wings to fly. They are resistant to charm and to mental attacks but are vulnerable to poison and disease. Sprites have a variety of personal traits that can vary depending upon their sprite bloodlines. Different races have a variety of starting statistics, stat maximums, skills, spells and other special abilities.